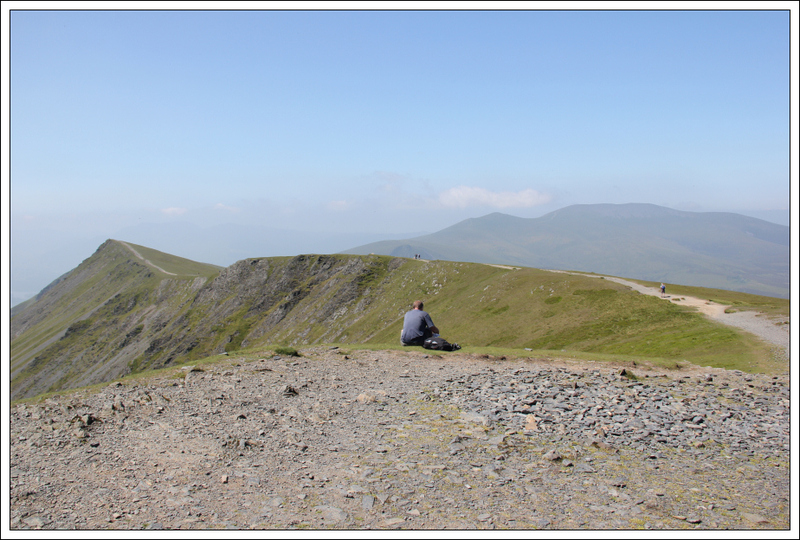 Yesterday lunchtime I decided that I fancied a few days walking in the Lake District. 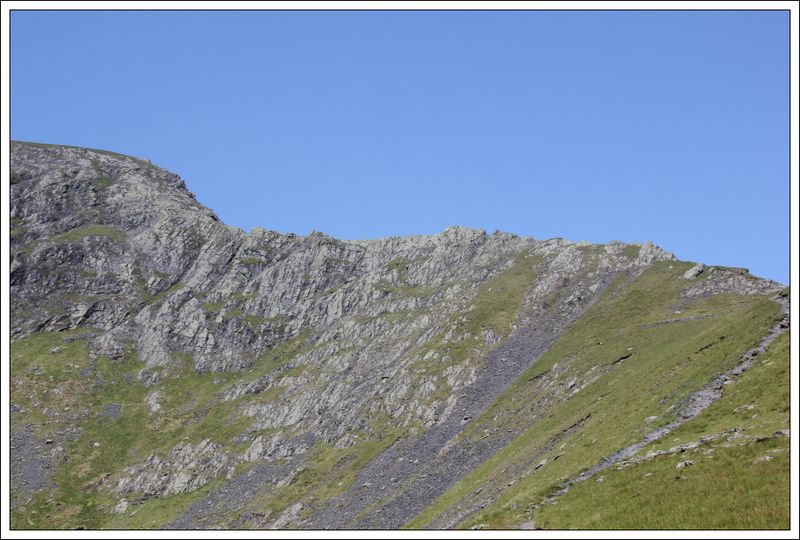 I booked some last-minute accommodation via Late Rooms and headed-off a few hours later after finishing work. A real last-minute plan . 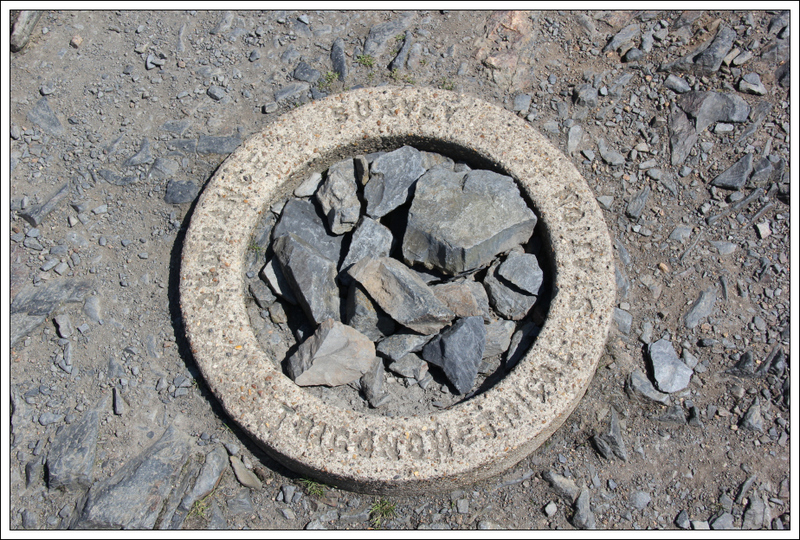 Circa six hours later, I arrived in the North Lakes and spent last night in a nice small hotel overlooking Bassenthwaite Lake. 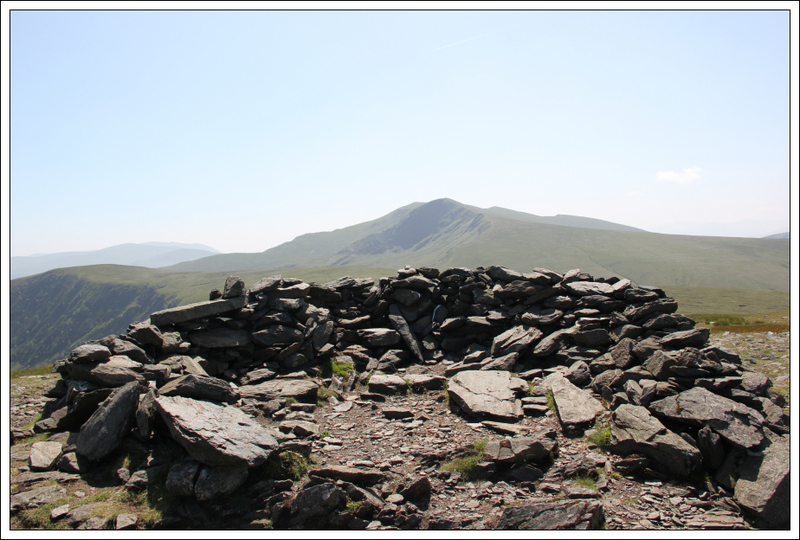 This morning, I decided to ascend Blencathra. 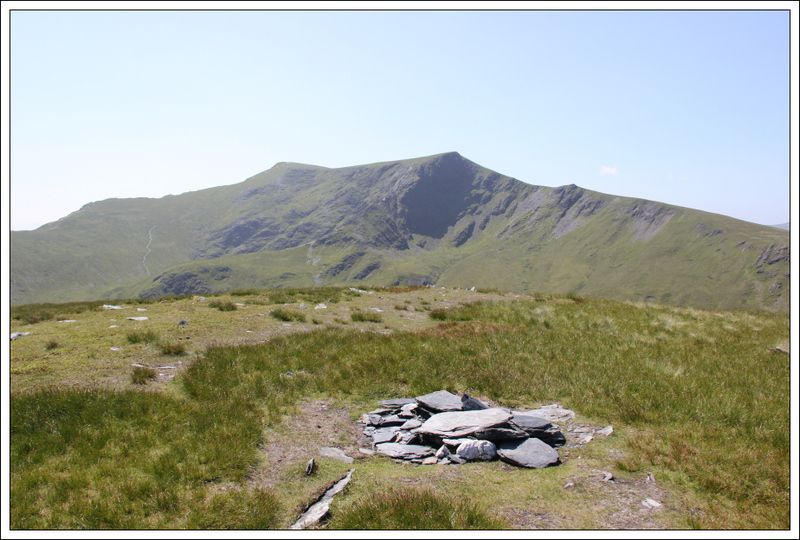 A quick look at the map showed five Wainwrights that could potentially be linked together in a circuit. 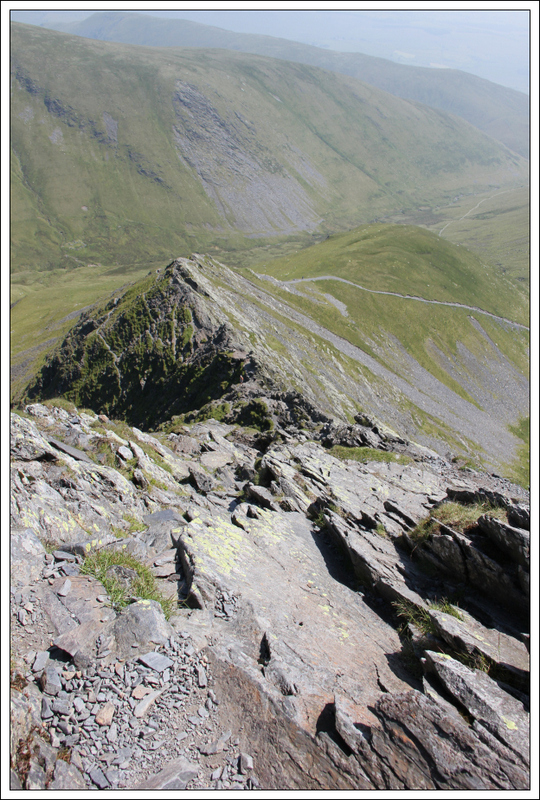 Even better, this route would allow an ascent of Blencathra via Sharp Edge. 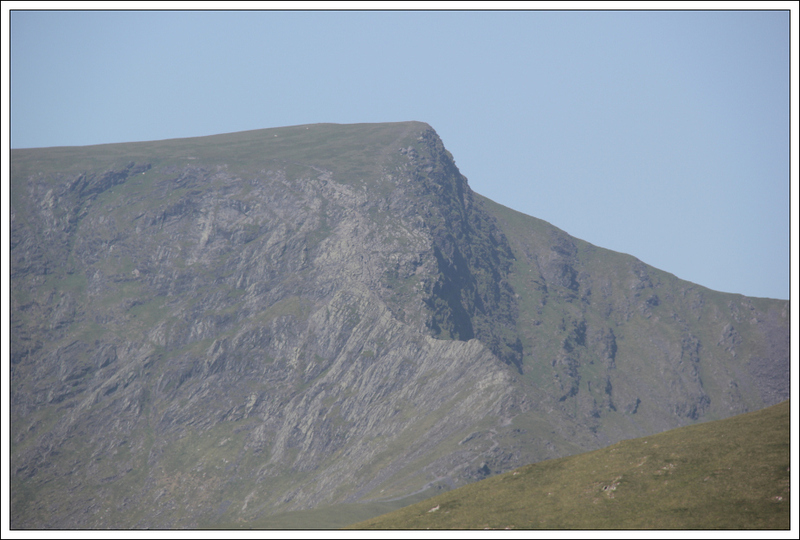 I drove to Mungrisdale and parked on a grassy verge a few hundred metres from the Mill Inn. On leaving the car, just after 09:00, it was already 20C . 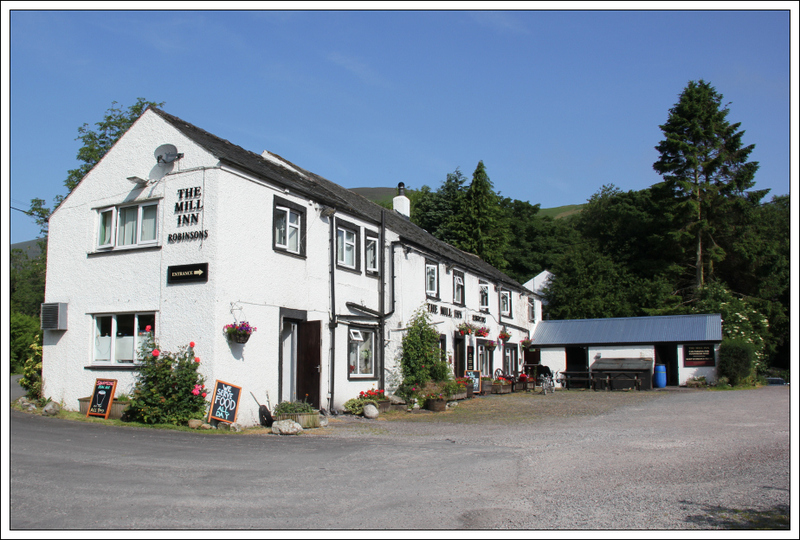 From the car, I made my way along to the Mill Inn. 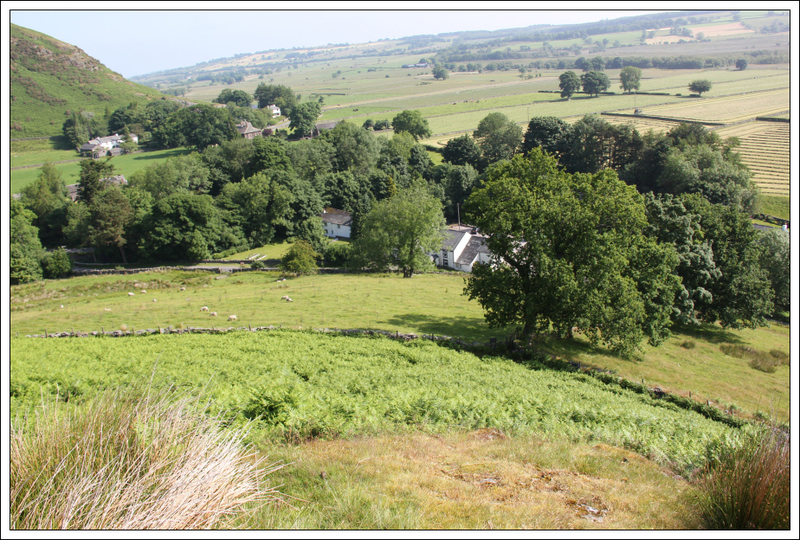 From the Inn, I double-backed a short distance along the upper road and climbed over a gate to enter a field. 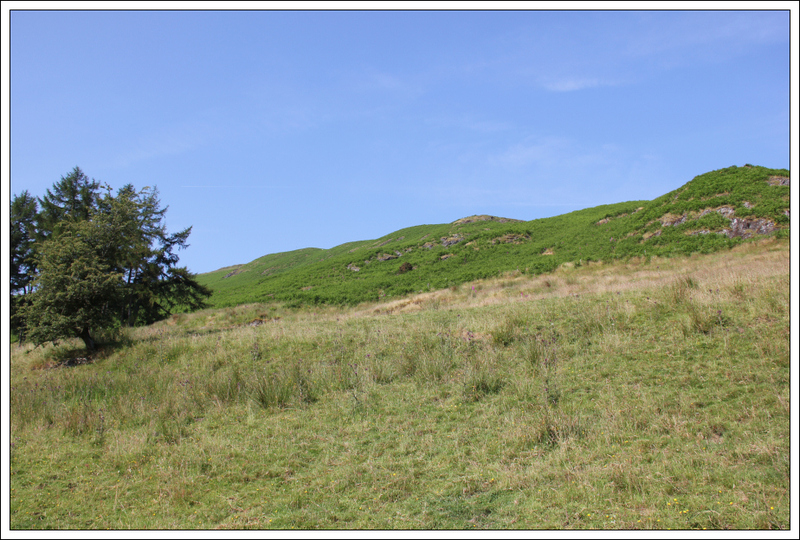 Once in the field, I made my way across to the corner of the field where I climbed over a fence to reach the start of the South-West ridge. On the other side of the fence was a sign advising, "There is not a Public Footpath through this Field. Please Keep Out." I'm guessing therefore that you are not supposed to walk through this field . 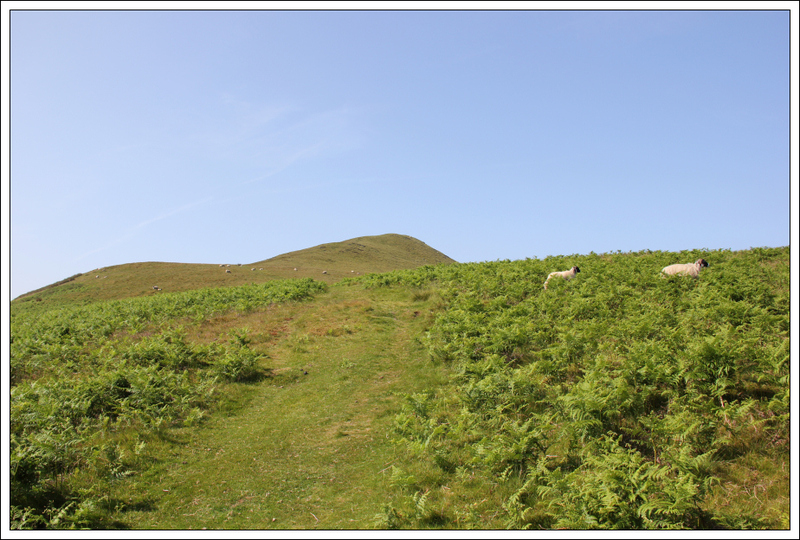 Once on the ridge, I followed a narrow path through the bracken which widened a few hundred metres further on. 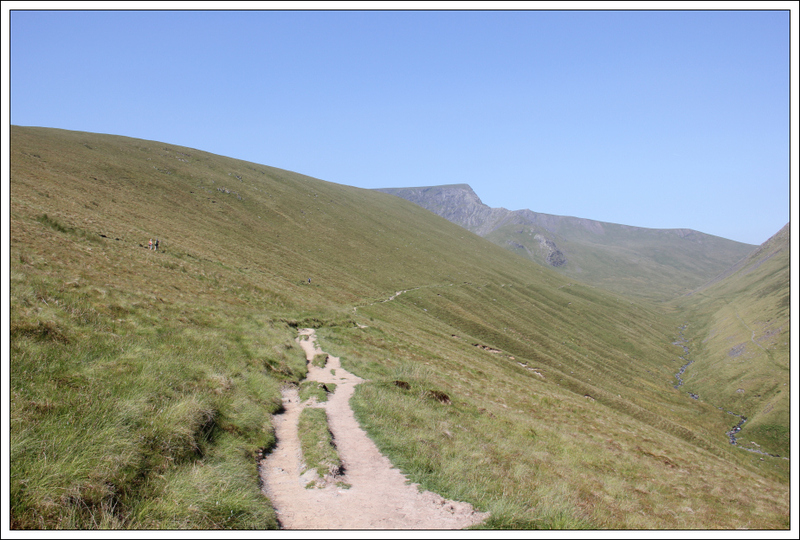 Once onto the wide track, the ascent of Souther Fell was straight-forward apart from the incredible heat. 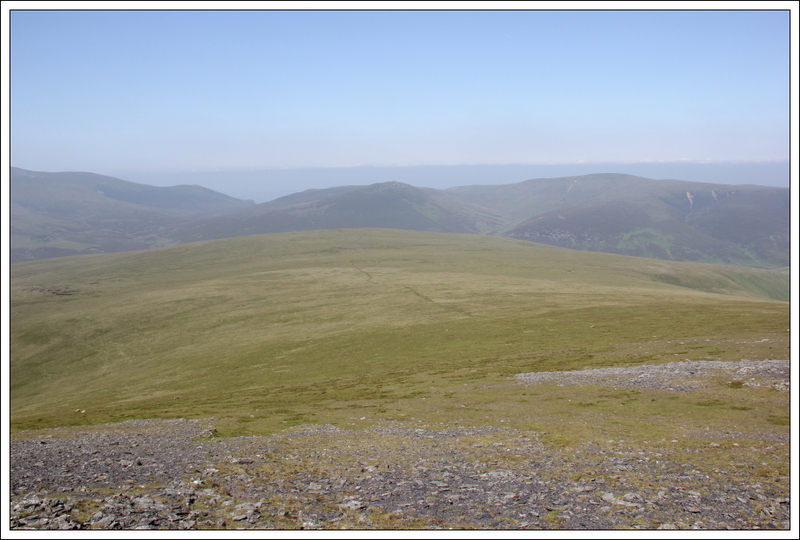 From the summit of Souther Fell, I traversed the hill taking a wee detour to visit a large cairn. 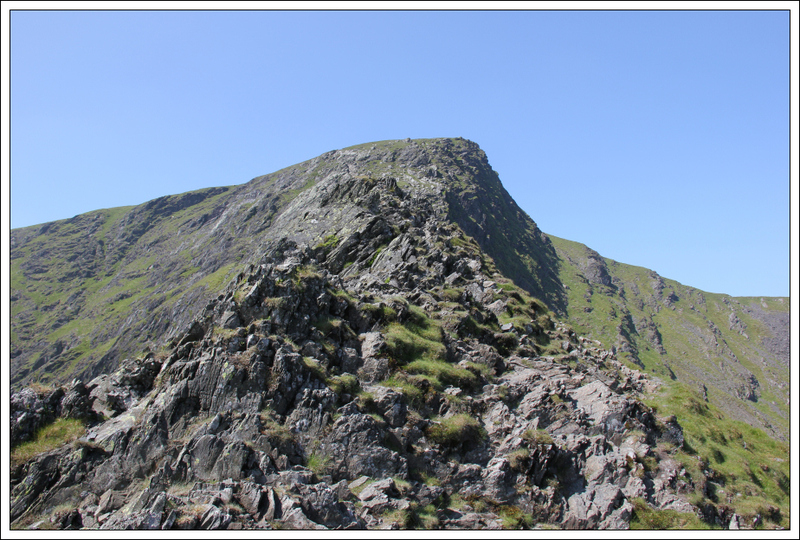 While descending from Souther Fell, I got my first real view of Sharp Edge . 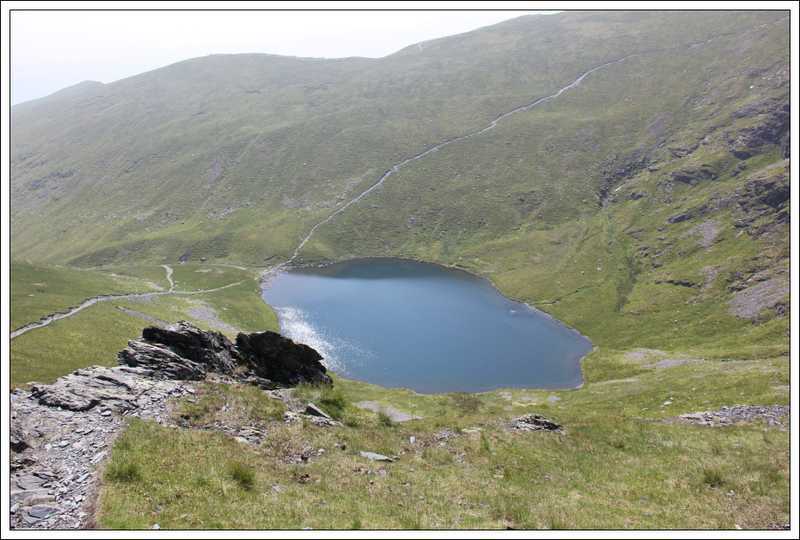 After descending circa 100m, I reached a good track leading to Scales Tarn. 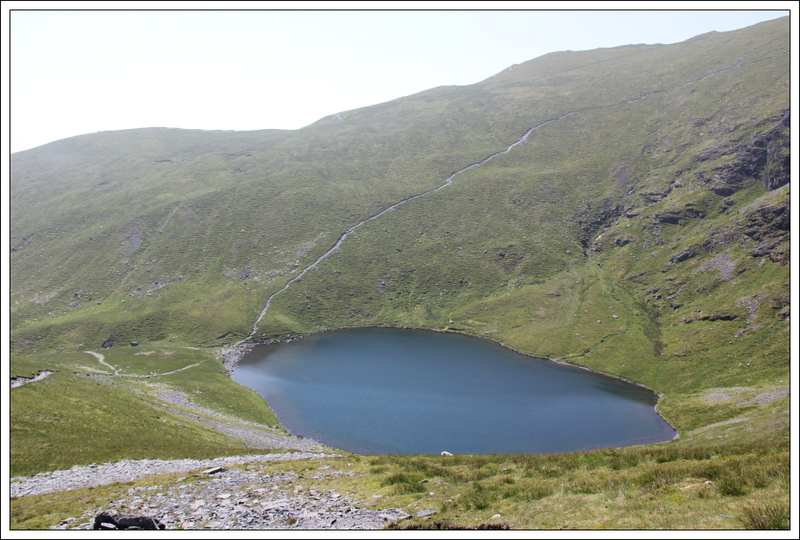 En-route to Sharp Edge, my mind was pretty-much focused on Sharp Edge, that is until I spotted a bikini-clad babe sitting at the edge of Scales Tarn. 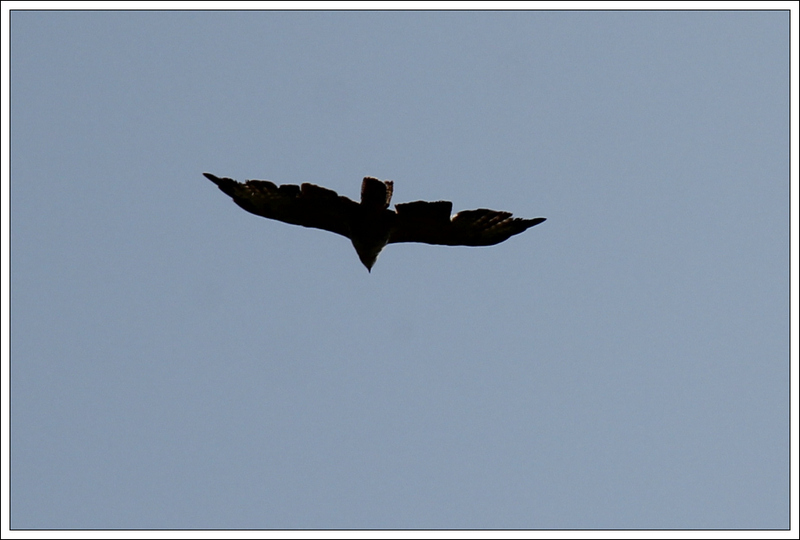 Not a sight you see often on the hills! 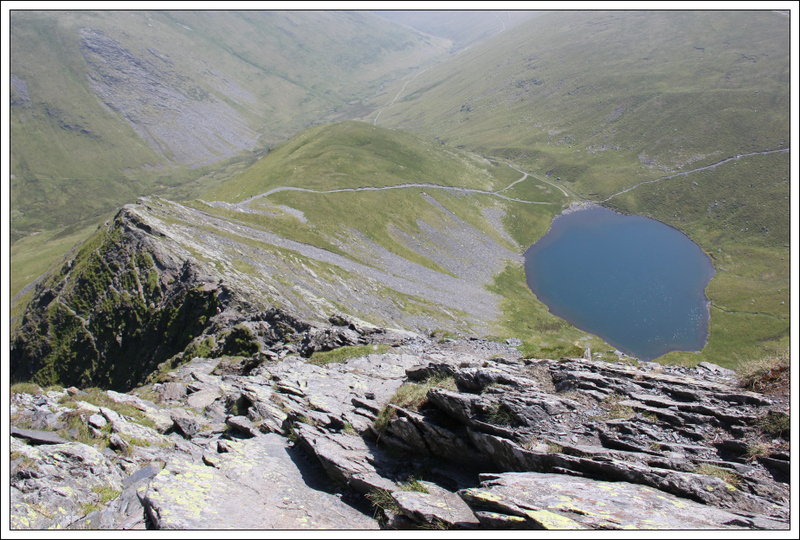 From Scales Tarn, I made my way up to the start of Sharp Edge. 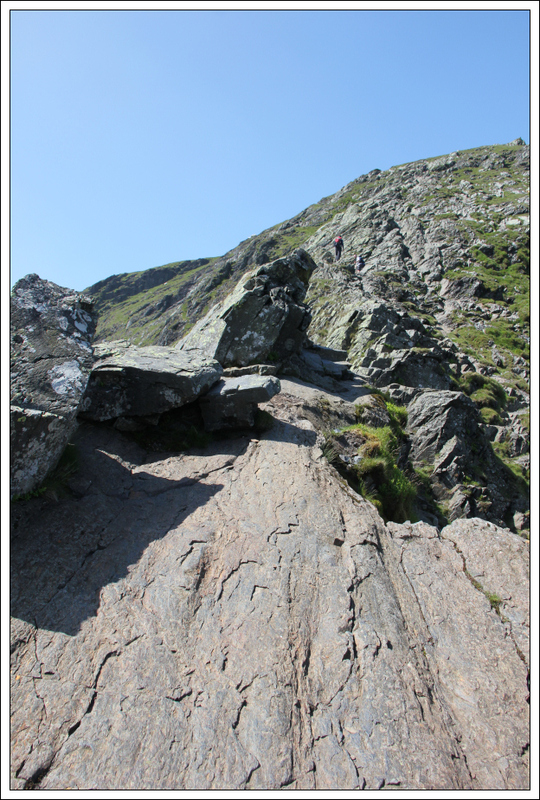 The initial scrambling can all be avoided via bypass paths. 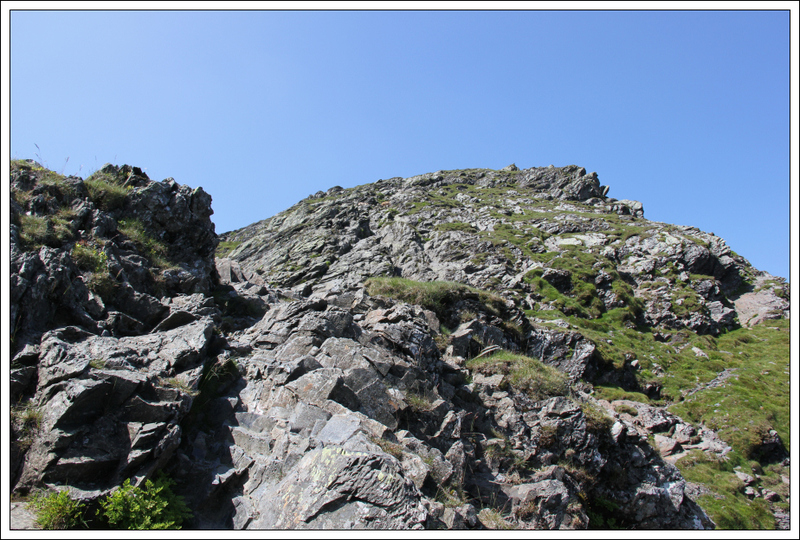 However, I didn’t see the point in taking the scrambling route, and then avoiding the scrambling, so I stuck to the crest of the ridge. 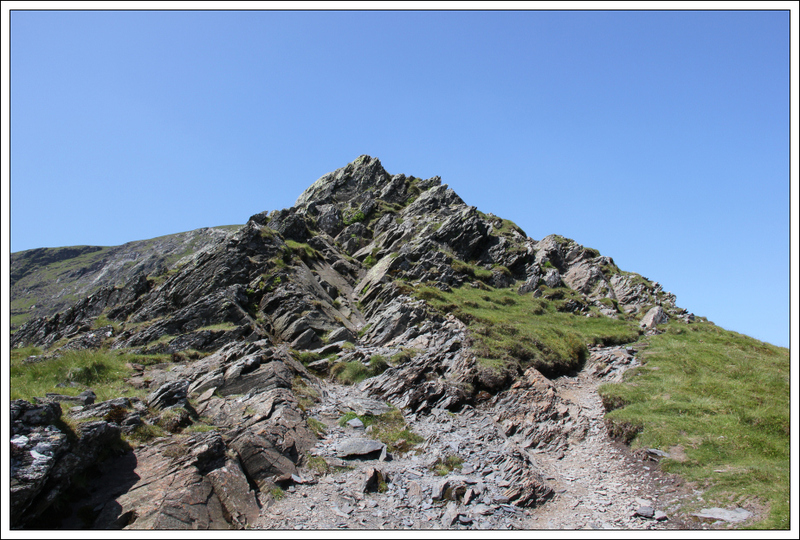 I began scrambling with my large camera case strapped to my chest but soon ended up putting it into my rucksack as it was restricting the view of my feet - it is good to see where you are putting your feet when scrambling. 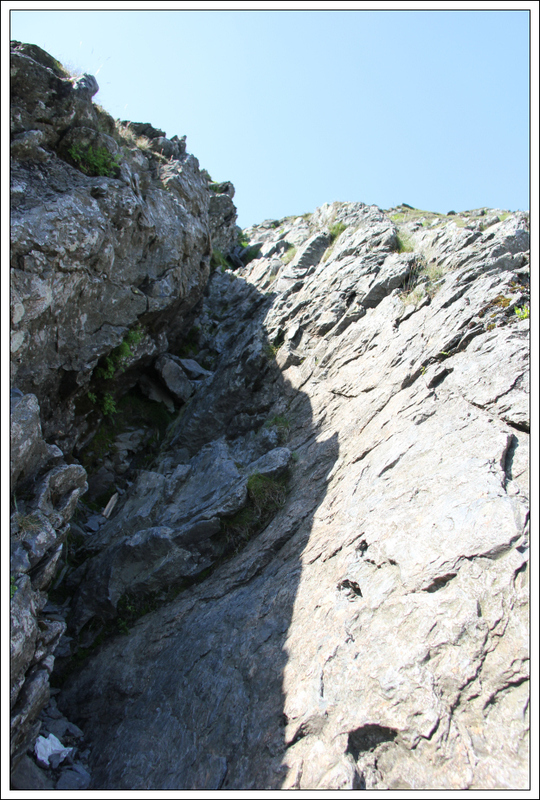 As a result, I had to stop several times on Sharp Edge to get the camera out of the rucksack. 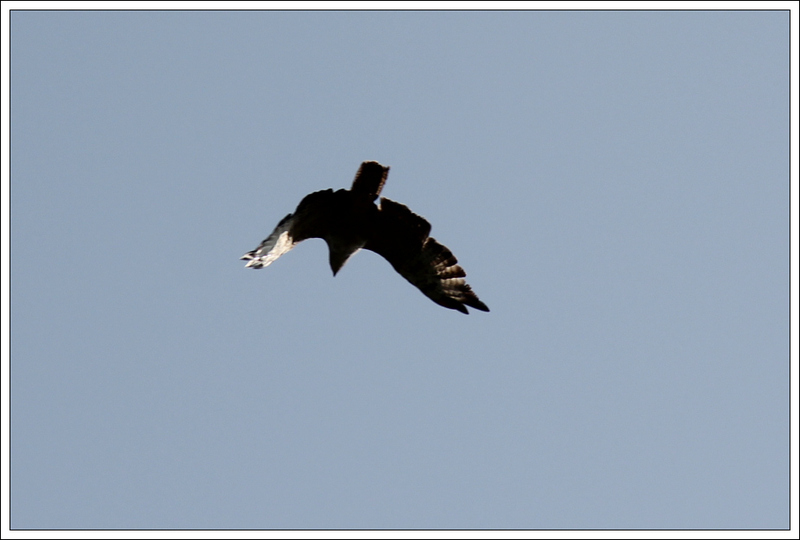 I was in no hurry. 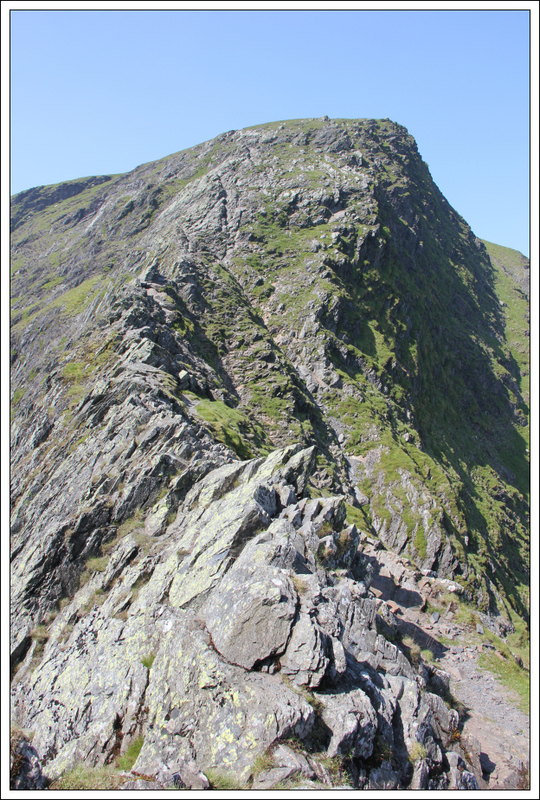 Sharp Edge is a really nice Grade I scramble. 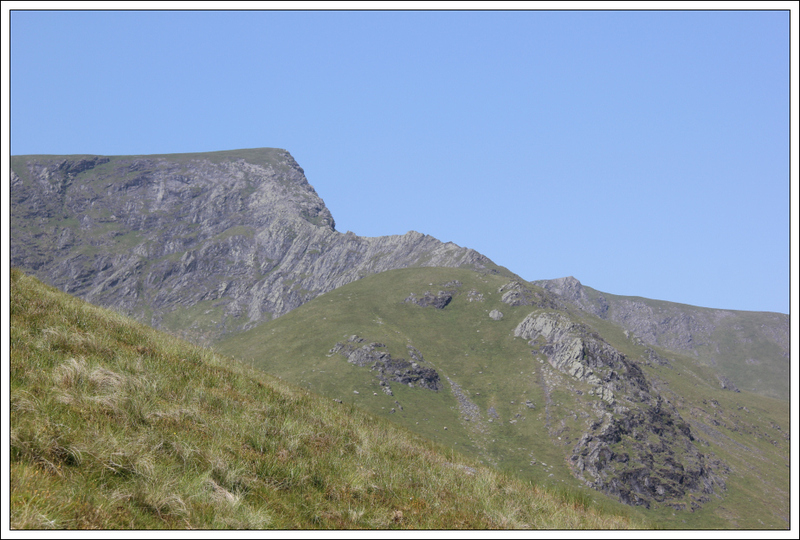 The rock is however fairly polished in places – I wouldn’t fancy doing this ridge when wet. 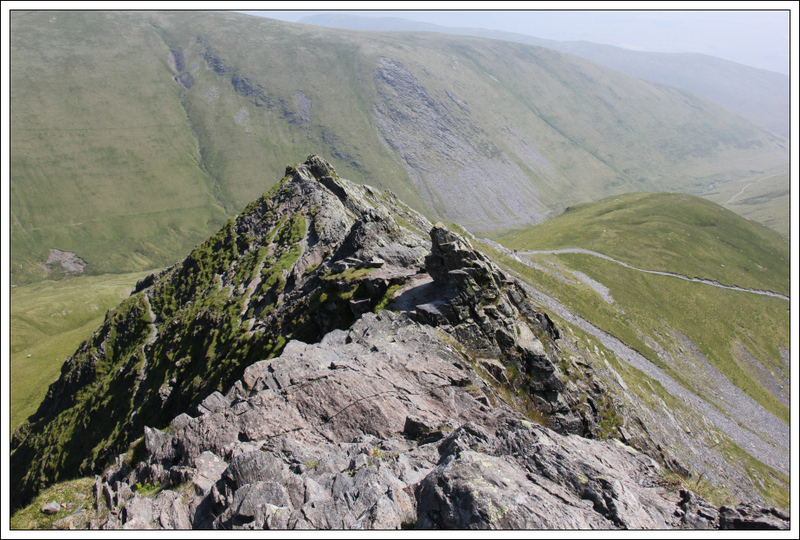 On reaching the top of Sharp Edge, I got the camera back out and proceeded to the summit of Blencathra. 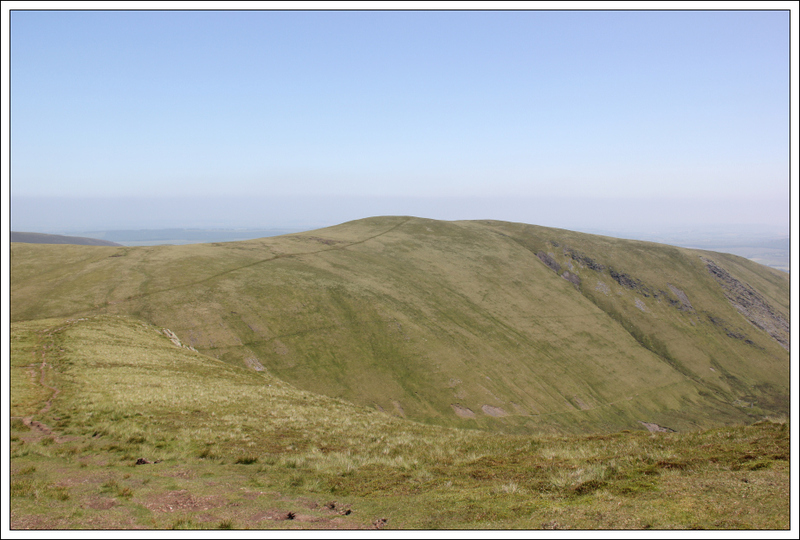 I was surprised to see so few people at the summit of this excellent hill. 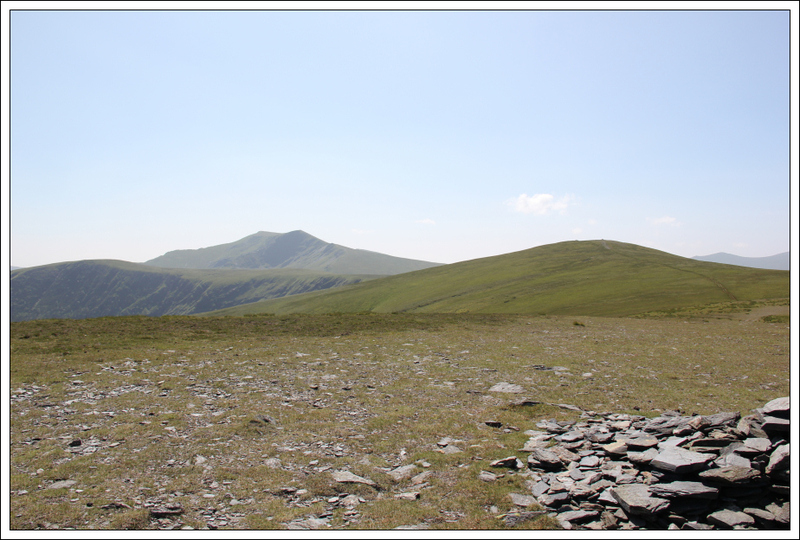 From the summit of Blencathra, I made my way across to the 845m top and then after a short descent, made my way across to Mungrisdale Common. 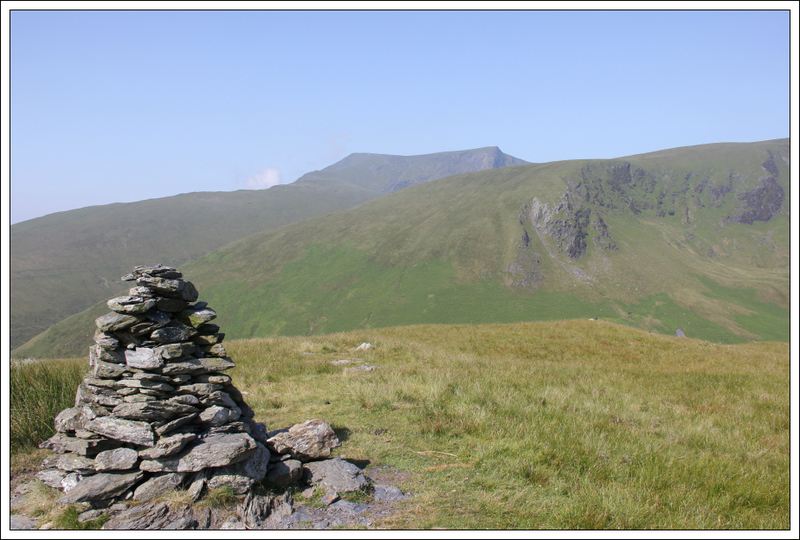 While Blencathra is an outstanding hill, Mungrisdale Common isn’t in my opinion “a hill”. 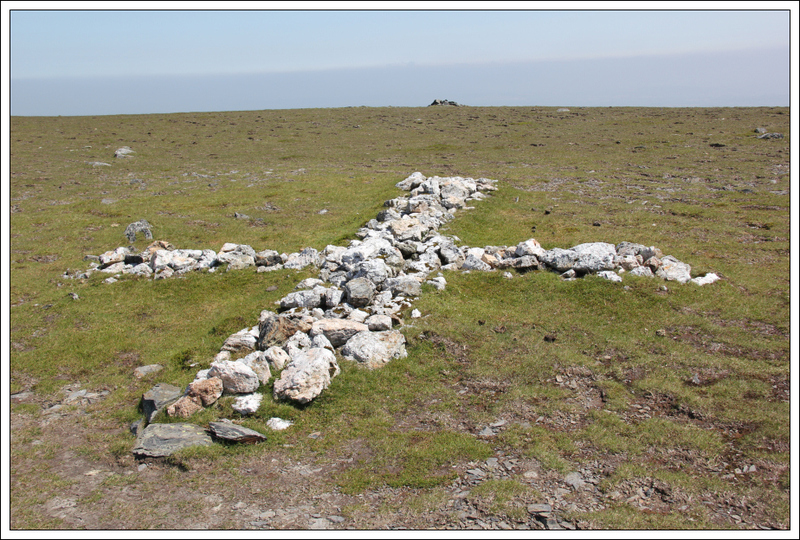 I’m not sure why Wainwright decided to make Mungrisdale Common a Wainwright. 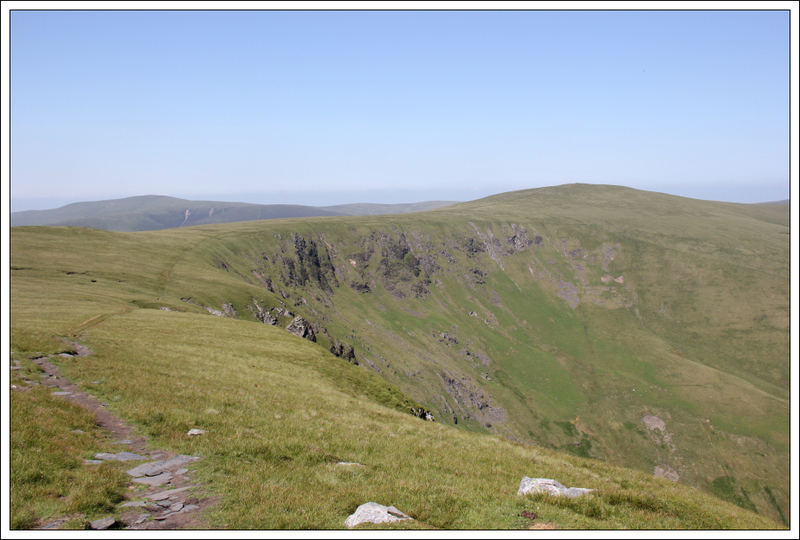 According to the Database of British Hills it only has a drop of 2m !!! 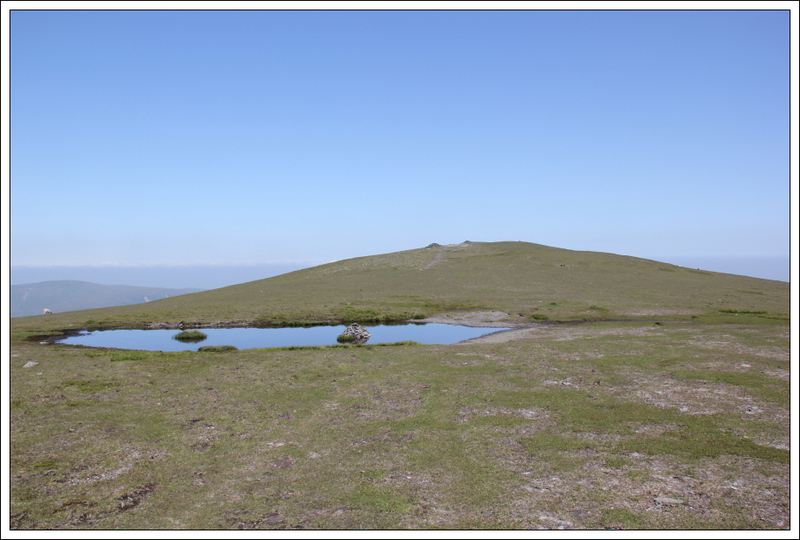 As I walked across to Mungrisdale Common, I ended up covered in hundreds of midge. I found this really surprising given it was sunny and very hot. Normally the wee bandits don’t like the sun. 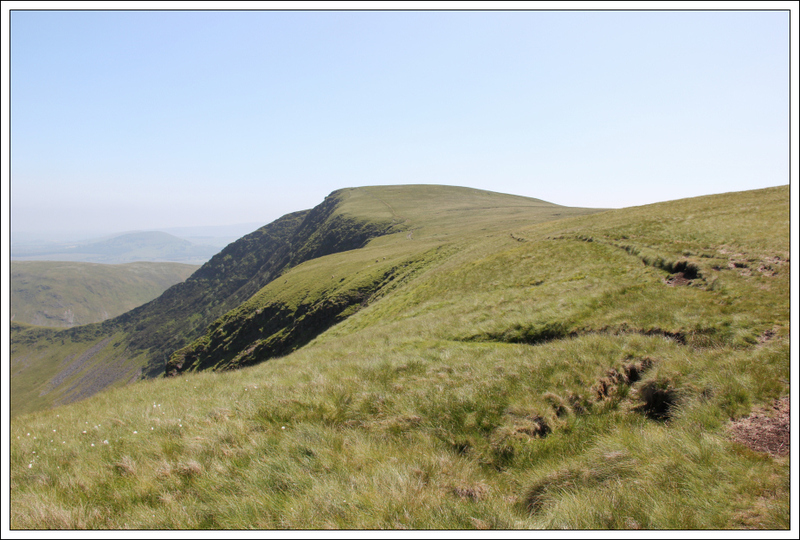 I didn’t spend any length of time at Mungrisdale Common before making my way back and on to the next peak of the day, Bannerdale Crags. 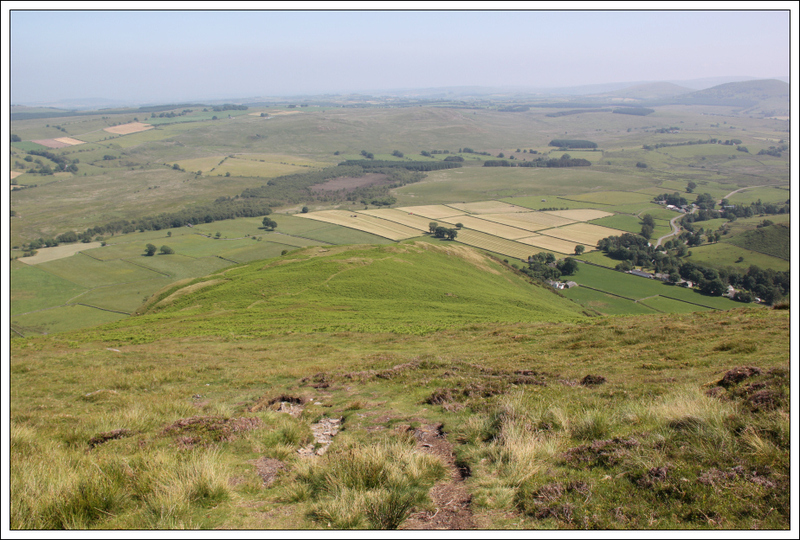 From Bannerdale Crags, I skirted round the top of the crags before picking up the main path leading out to Bowscale Fell. 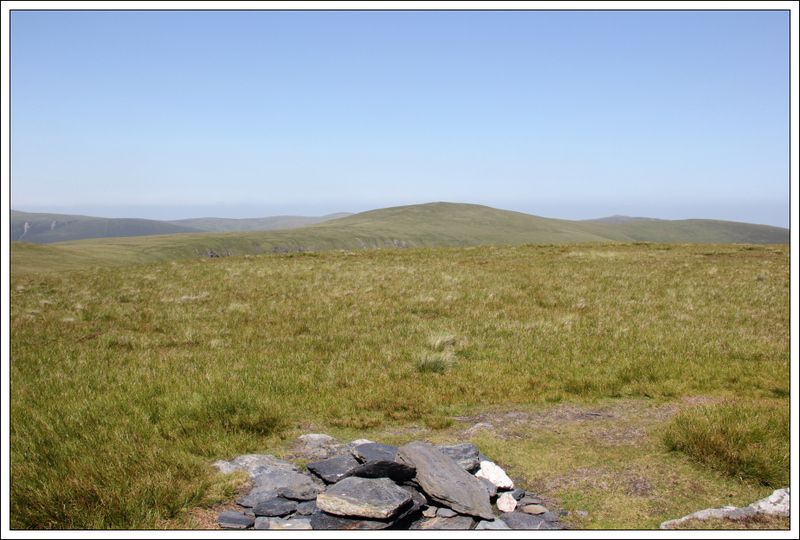 By the time I reached the summit of Bowscale Fell, I was really feeling the heat and my water was almost finished. 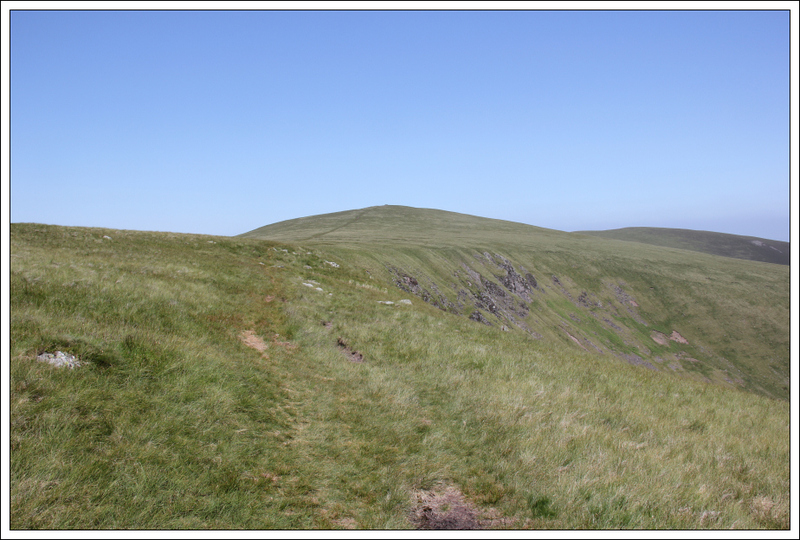 A quick check of the map confirmed that I had only circa 3km to go to get back to the starting point. 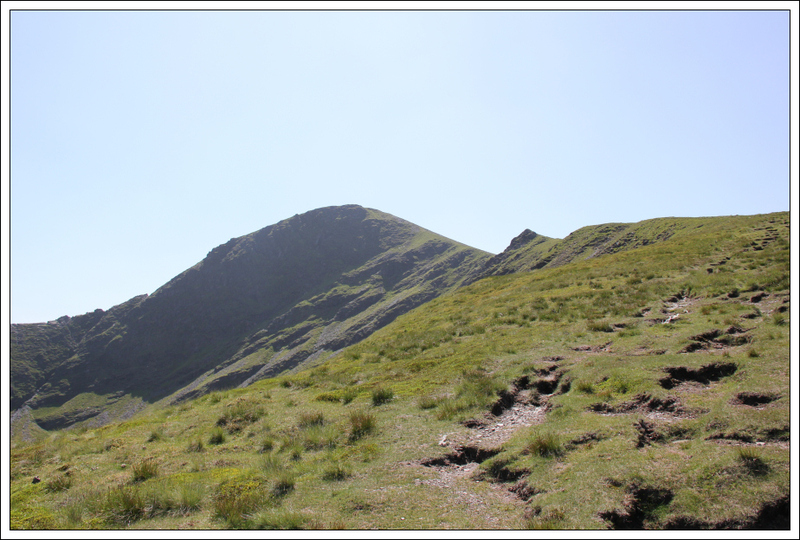 The descent from Bowscale Fell was mostly straight-forward following a nice, wide track. 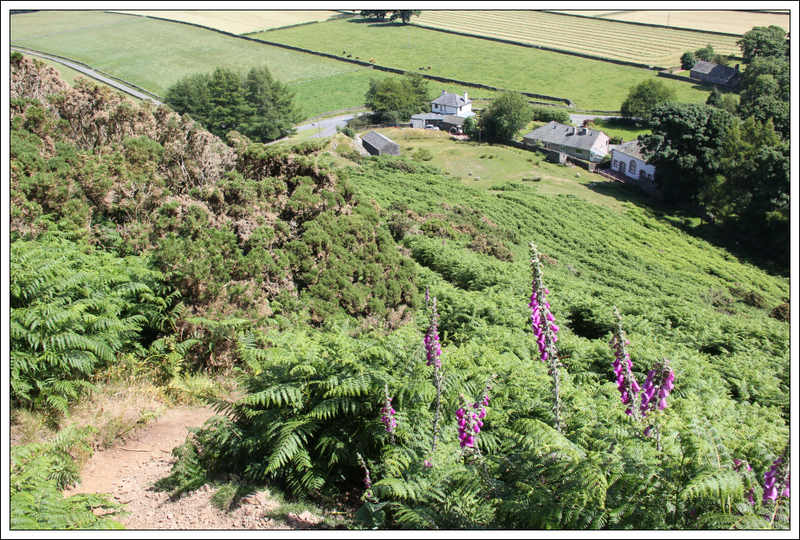 The final few hundred metres of descent was however fairly horrible – a steep path down through high bracken. Always good to finish a walk at a pub . 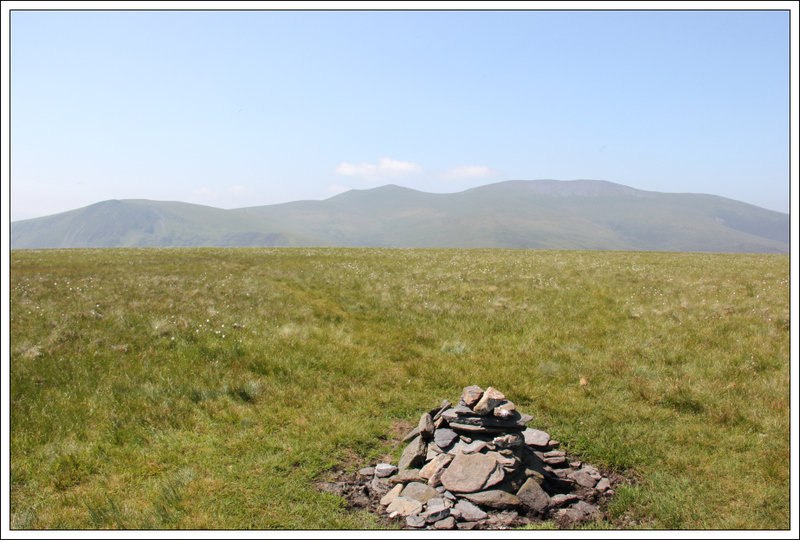 It was 27C in Mungrisdale - this probably explains why I was feeling the heat on the hill. 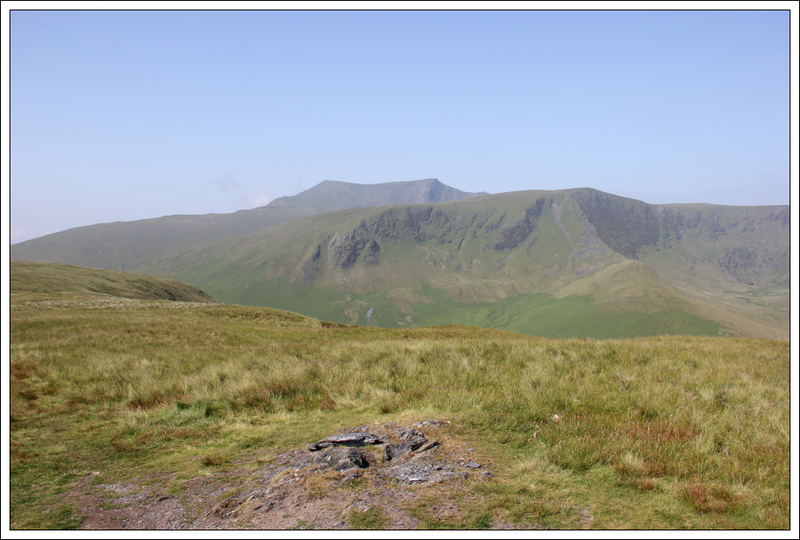 Really impressed with Blencathra. 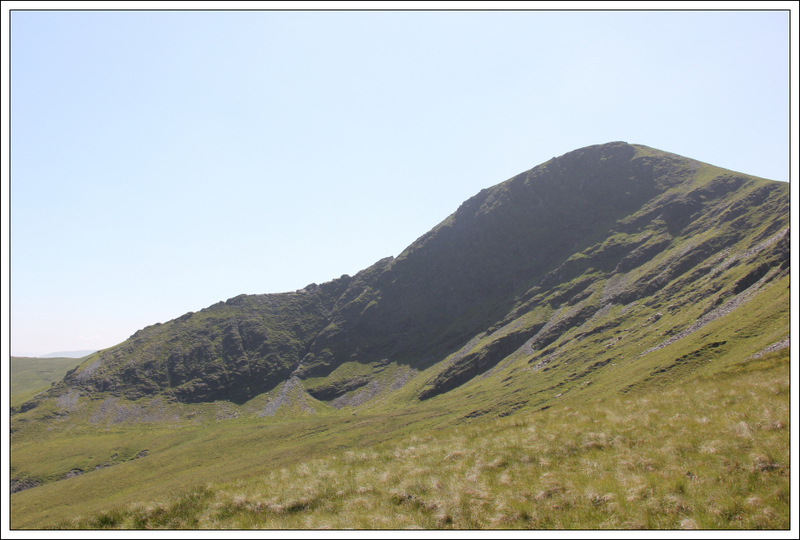 A cracking hill!